Many of our advertisers come to us during this time of year and ask, “Where can I fly my banner this fall/winter and get lots of impressions?” In this article, we will answer this question for you, and provide some helpful details to marketers considering aerial advertising this fall and holiday season. Aerial advertising works best when there are a large number of people participating in an outdoor event. Can you guess what the number one event is every year around this time? Ladies and gentlemen advertisers, we hope you’re ready for some NFL and NCAA football. We have to hand it to northern football fans. No matter how cold or snowy it is outside, they always bundle up and head to the stadium to support their team. This is a perfect time to capture the attention of this vast, captive audience, and get noticed at some of the biggest rivalries of the year. One thing we can tell you about football fans, both college and professional, is that they are loyal. By affiliating your brand with the home team, you are certain to achieve the brand recognition you’re looking for. Plus, you’re guaranteed to get noticed without having to spend a premium on competitive advertising space. This time of year, holiday festivals large and small kickoff in towns and major metropolitan cities across the country. Whether you’re looking to advertise at a parade, get the word out about a grand opening, or looking to send a larger-than-life reminder to consumers about your product before the holidays, aerial advertising is right for you. Pay attention regional marketing managers, we’re talking to you! If you’re looking for a way to get the word out about your company, product, or promotion pre-black Friday, now is the time to start! It doesn’t matter if you’re a local business owner or a big box retailer – aerial advertising will help drive your messaging home. 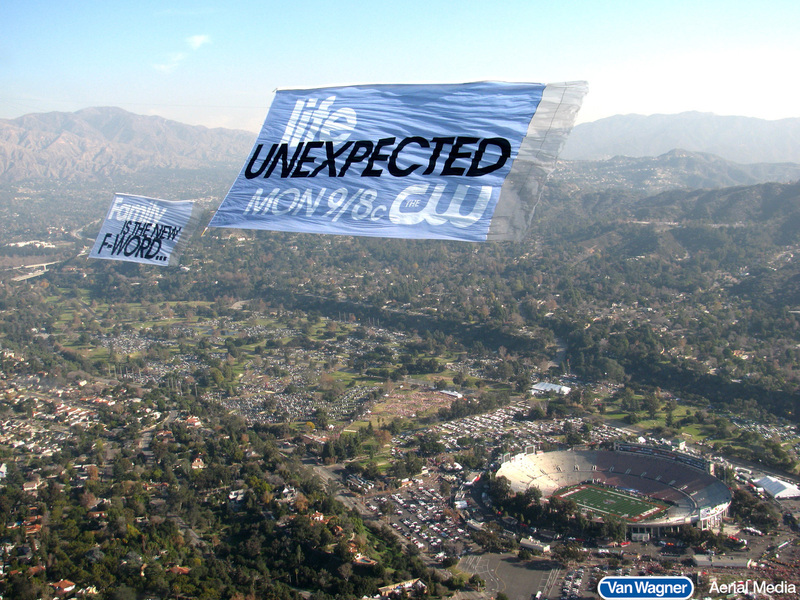 Make sure to read our case study about Kmart using aerial advertising to get noticed. While people in the northern states are breaking out their jackets, people in the southern states are enjoying beautiful “fall” weather that continues well into January. The Epcot Food and Wine Festival (Orlando, FL Sept 19 – Nov 10), Art Basal, (Miami, FL Dec 4-7), and The South Beach Wine and Food Festival (Miami, FL Feb 19-22) are just a few of the biggest events taking place in Florida this fall. There are also a variety of gay pride parades taking place across the country! Let us put together the perfect aerial advertising campaign for you. Our capabilities include aerial banners, sky writing, and blimp advertising! Contact us today or click below for your free quote. Not sure which events to fly? Click below for our free e-book!